Debra is a trainee solicitor with Staffordshire North and Stoke on Trent Citizens Advice Bureau gaining experience in Housing Law, Welfare Benefits, Immigration and Employment. 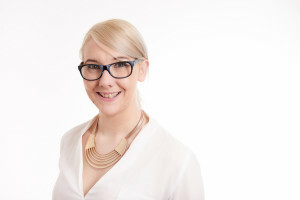 She received her LLB from the University of Newcastle upon Tyne in 2009 and her LPC from Leeds Metropolitan University in 2010 specialising in Employment, Housing and Family Law. During her studies Debra volunteered with the housing charity Unipol as part of a free Advice Clinic, checking housing contracts and providing free legal advice to students. She also volunteered with the Crown Prosecution Service as a member of their North West Community Involvement Panel. During this work, Debra contributed to the drafting of the Equality Bill and the Code for Crown Prosecutors. Debra undertook work experience placements with British Airways and a criminal defence firm based in Carlisle. Following her studies Debra became the Representation Facilitator with the University of Cumbria Students Union, dedicating her role to ensuring a continued recognition for student voice and coordinating democratic processes. Debra was made redundant from this role in August 2013, and briefly worked as a Community Home Carer in Cumbria, supporting and assisting elderly and vulnerable individuals in the local community. Debra enjoyed a successful period working with The North of England Commissioning Support responding to Freedom of Information requests and MP Correspondence. SNSCAB is planning to operate a pilot in charging for Immigration Advice from 1st April. Debra’s project will be to assist in the set-up and roll-out of this project and to compile an evaluation of the project. This will include interim reports at the six and twelve month intervals and a final report at 18m. She will be assessing the impact of the project on clients, the agency and the wider community.